As we read round-up after round-up of the past year, it’s natural to reflect on our own year and ponder its moments, its lessons, its greatest hits. The most fun I’ve had in ages? 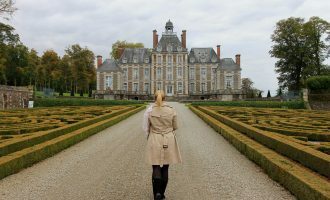 Recapping 2014 and realizing it was a year that, yes, of many adventures in travel…but perhaps the greater theme of the year is the meals those travels took me to. Now perhaps this makes me strange, but if there’s one thing I’ve learned this year it’s that you can’t go wrong staying true to your authentic self (yes, even on the Internet.) So while you may reminisce about milestones, achievements, or journeys — I can’t help but sum up my year with the meals that shaped it. It very well may be that many of my personal journeys revolve around food — like my resolve to choose a destination and do little more than eat and drink there (as I did in New Orleans this year,) or my decision to create a home base in San Francisco (best.food.city.ever.) Or maybe it’s just that food, more than the meal itself, marks moments of true joy shared with others, and of experiences that flawlessly reflect a specific time and place. Have you ever felt this way about truly great meals? 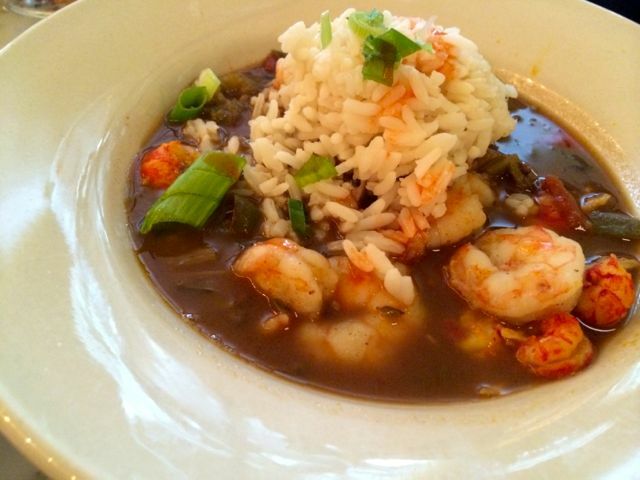 Without further adieu…the 14 best meals of 2014. This place is an SF institution for a reason. It has been serving the city’s best seafood since the days of horse and buggy (not that I was around then.) Add in the fact that they have a limited seating at the same bar from oh-so-many years past, it’s a few blocks from my apartment, and Anthony Bourdain digs it…and you have one of my favorite meals in San Francisco. I went back more than a few times, and this freelance writer officially needs to find room in the budget for shelled Dungeness crab. 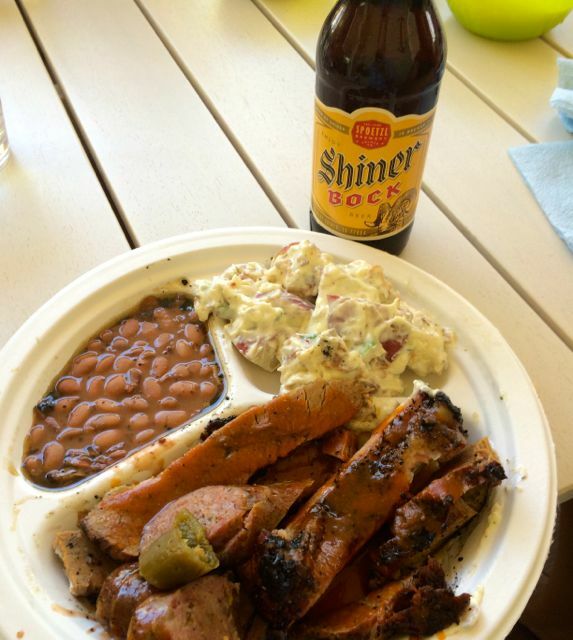 I have my favorites when it comes to Texas BBQ in Austin, and for this year’s trip, I heeded the advice of my friend the third generation Texan and tried this BBQ near the house we stayed at on Lake LBJ, just outside of the city. It rocked my world, and I can still take the brisket when I close my eyes. What is there to say besides OH MY GOD. I love me some Mexican food, I love me some seafood…and I’m of the opinion that the closer you get to the border of Mexico while in California, the better the meal. Add in proximity to the ocean and you have yourself one of the better meals on this God given earth. 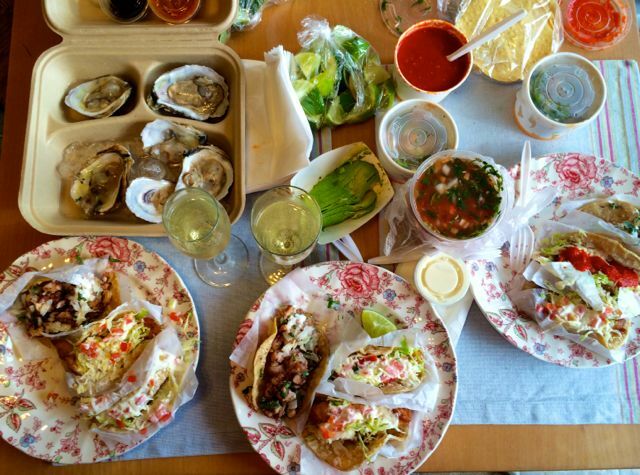 Obsessed with the fish tacos, the oysters (of course,) and the fresh ceviche. 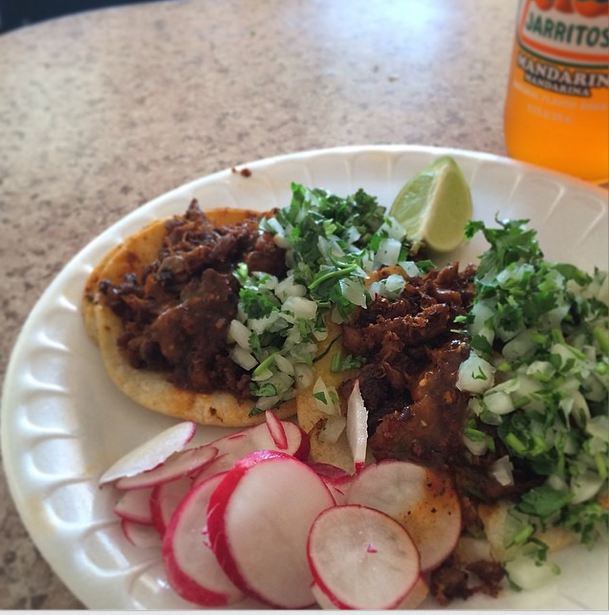 If you knew the extent of my love for tacos, you might ask when I don’t write a blog devoted entirely to them instead. Let’s just say good tacos are easy to find (as a proud Californian) but great tacos can be difficult to encounter, even in Mexico. Fear not, friends. Two totally different taco experiences — one in the day in a non-touristed area made by an scowling old man, the other by night, street-side but close to a resort area and made by the smiliest, most enthusiastic taco creator of your life. Both were magical for their own reasons. Just don’t miss the chance to eat either, should you be in the area. 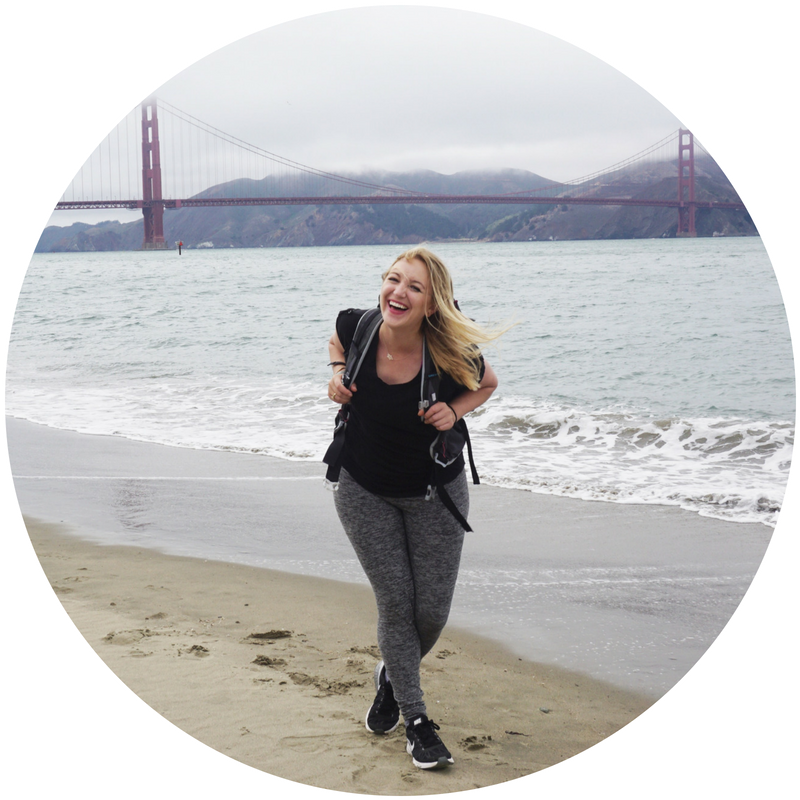 After living in Los Angeles for years on a student budget, I had my haunts and my cheap eats as well as my splurges in the City of Angels. Visiting an old friend who works in television (reality food television to be exact,) I found myself at Bestia, taken by surprise and asking the waiter to “just bring us anything he wants that he thinks we will like.” It turned into one of the most adventurous (gizzards and beef tongue, anyone?) but also one of the most decadent and memorable dining experiences of many years. Hop to it! 2014 brought on a bit of a fried chicken kick. 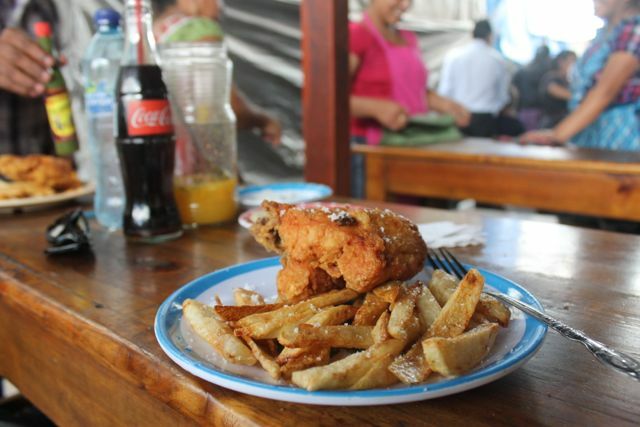 I thought I’d have the best of it when I visited the American South, but to my surprise and delight…I found the best fried chicken of my life in…Guatemala. 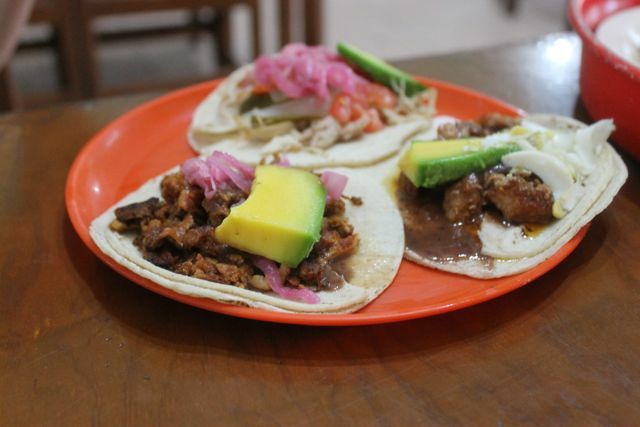 First in Chicastenango, just behind the Plaza Central on market days (Thursdays and Saturdays) — look for the large light blue frying pots and picnic tables filled with locals. 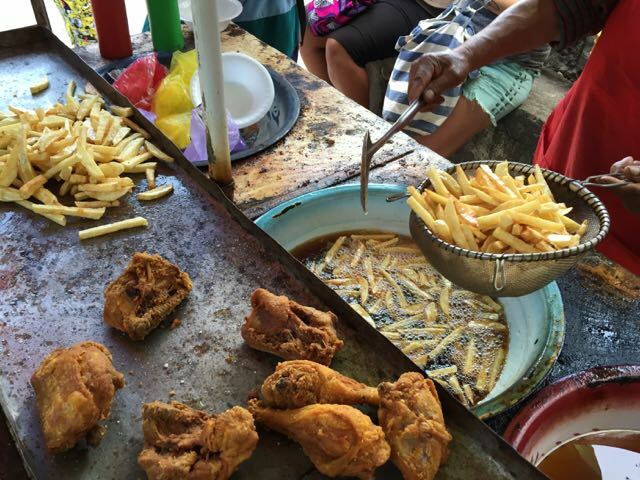 Then again after a long hike to San Marcos la Laguna, (where I feared for my life, but that’s another story for another time) and stumbled upon the resident “fried chicken man” serving out of a cart in the town square. 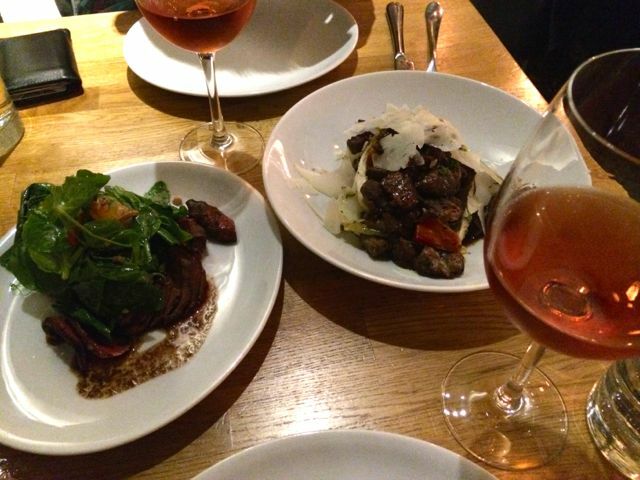 I can’t remember having a better meal — at least not so unexpectedly. For those of you who are new to the site, I lived in SB for five years after college. The best part about my time there (outside of the beach) was the many hours of cooking, eating, and drinking. Santa Barbara gave me quite a culinary education — one that I am quite grateful for. Yet my favorite meal there is still the simplest: the best damn tacos that nobody really knows about. The menu is in Spanish, and consists of mostly choosing between “ojo” (eye,) “cabeza” (head? ), and “lengua” (tongue.) Don’t worry, they also make the best damn adobada of your life. 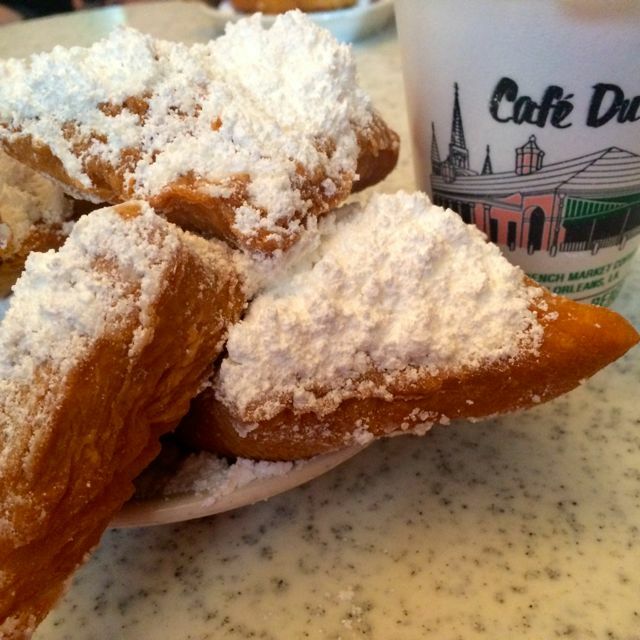 New Orleans: Beignets. Scratch that: everything. I knew my tastebuds were in for all kinds of treats in NOLA. When I return, I’m planning to have an itinerary that completely food based. I’ve waxed lyrically about this topic already, but get thee on a flight to NOLA and directly to Cafe du Monde already! Game changer. Really. 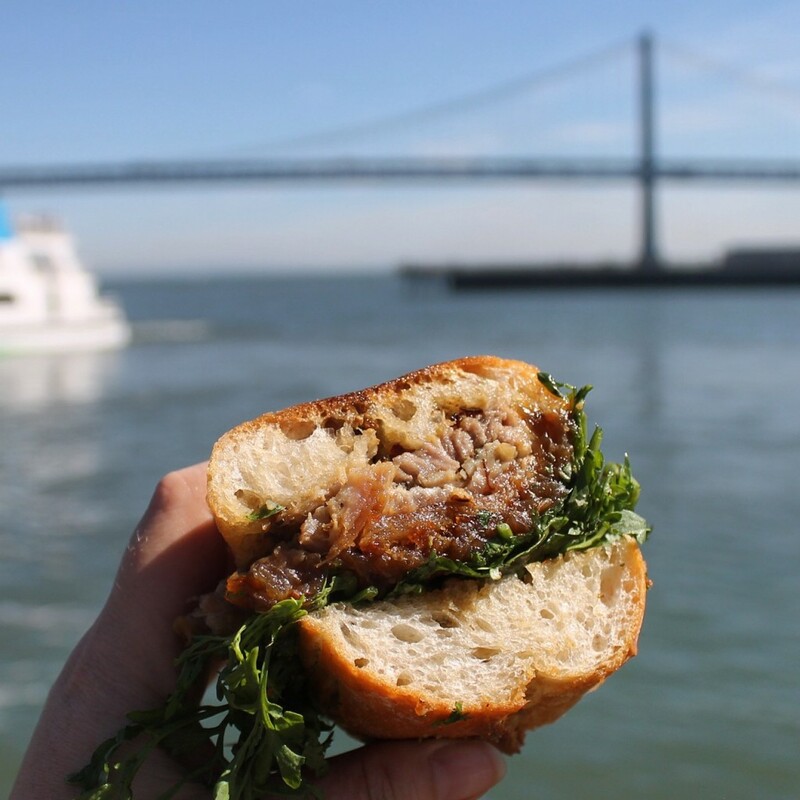 San Francisco: Porchetta sandwich from Roli Roti at the Ferry Building. In fact, the whole Ferry Building was a highlight. It’s a foodie paradise in a foodie city. For the best it all, be sure to go on Saturday in the early afternoon for what might actually be the best sandwich of my life (and this is saying something — my love for sandwiches being only second to my love for tacos.) It’s basically all the best parts of pork rolled up in a big ball and roasted on a fire spit and then thinly sliced and served to you on a little piece of heaven. If you’re planning a trip to San Francisco, watch out for me — I will elbow you out of the way to get the last serving. Maybe it’s just my weak spot for inventive, masterfully crafted foods served dim sum style (see below) or my inclination towards bourbon craft cocktails, but I fell in love with this meal in Atlanta. I’ll admit that living in San Francisco makes me a little doubtful of any restaurant that’s not here (horrible, I know) but Gunshow blew me away. 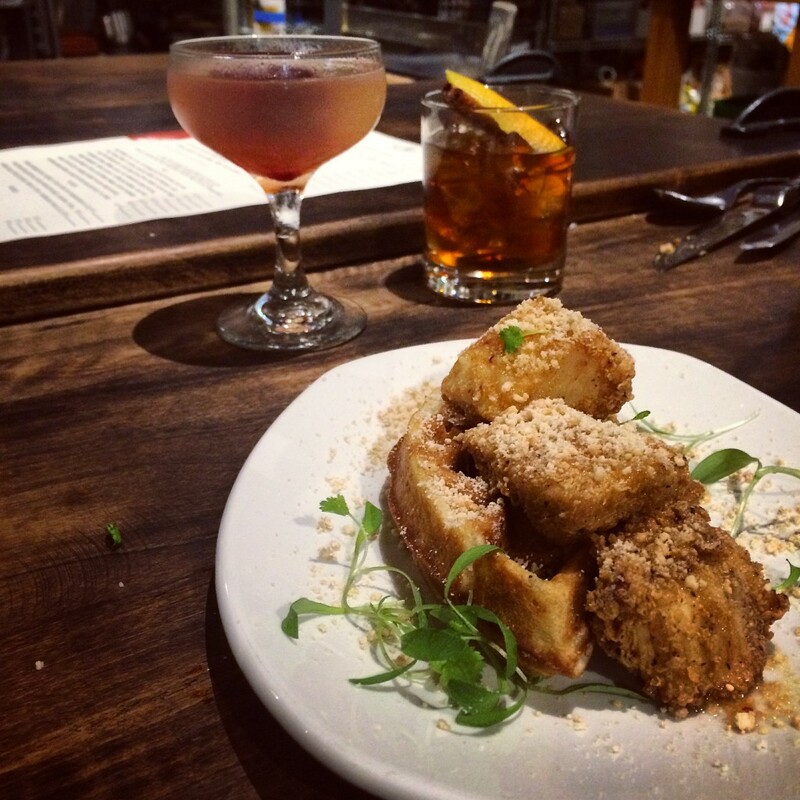 When in Atlanta, look no further for an excellent night of food. OH MY. Again, I thought I had it good here in California. That was before I discovered queso. And breakfast tacos. And Mexican martinis. 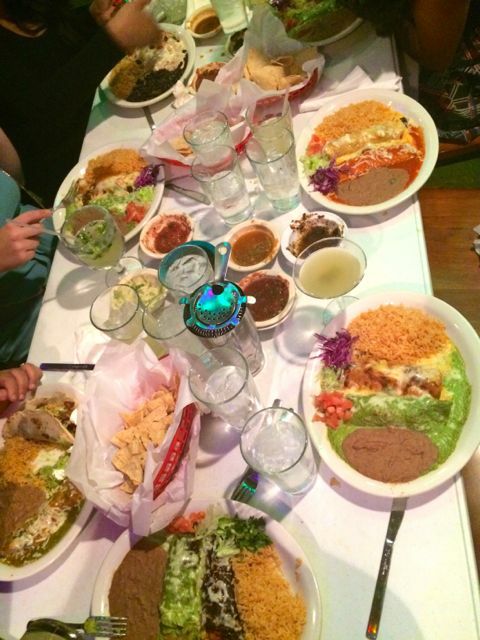 I hit my go-to for Tex Mex in Austin, and genuine happiness ensued. Sorry! 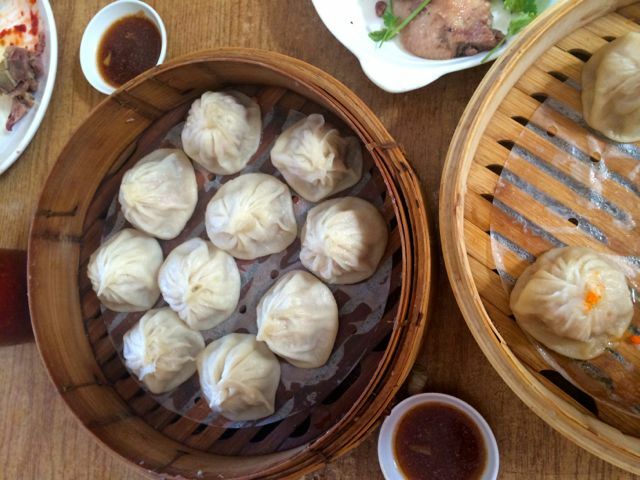 Another topic you may have heard me rambling somewhat poetically about…but seriously have you had soup dumplings lately? Have you? I finally found the best XLB (xiao long bao) I’ve had outside of Shanghai here in my dear old San Francisco. It was all kinds of glorious. Chicago: Deep dish pizza at Pequod’s or Lou Malnati’s and Italian Beef at Al’s or Portillo’s. 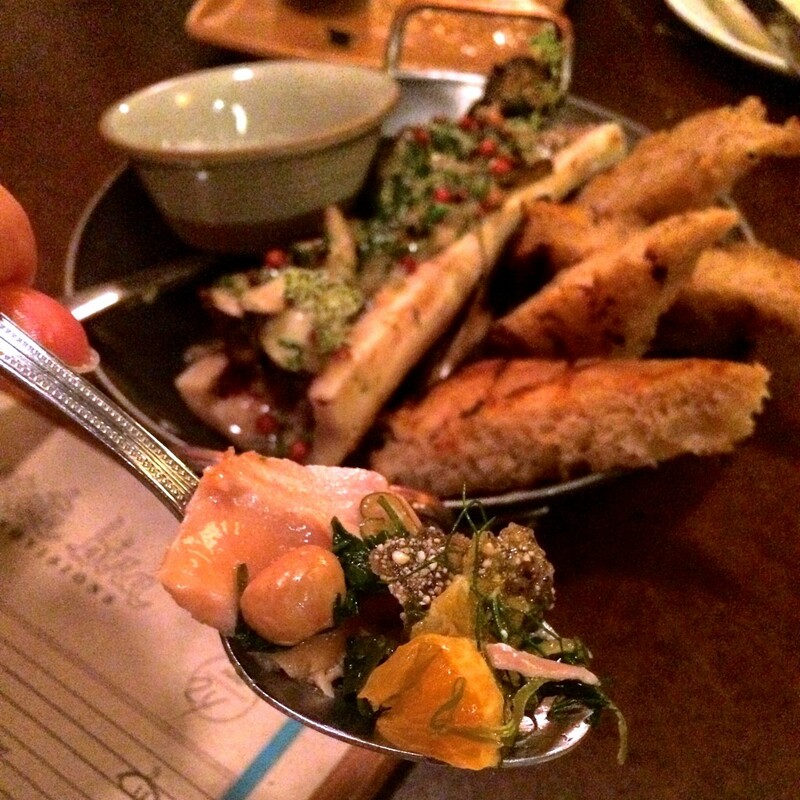 San Francisco: State Bird Provisions. If you’re heading to any of the above destinations next year, for the love of Pete please bookmark this page and send me an email when you have your best meal of 2015. Did you have any particularly memorable meals this year, and were they attached to a place for you? Where would you travel just to eat the food? Wishing you tasty travels in 2015! Oh my gosh… YES to every single thing on that list!!!! WOW! The best sandwich of my life was a porchetta too. What a magical meat sandwich. Porchetta is quite simply the best thing ever created. And to find the real deal outside of Italy…oh my. Magical indeed. I SHOULD NOT have read this. It is new years morning in the foodie waste land of Ubud, Bali, and I am starving – all these photos of tacos, bbq, beignets, and my all time favorite soup dumplings is kind of killing me. Looks like you had a great year! For me, I head to Bangkok in a few days, so I can at least get myself some decent dumplings! Thanks for the share. Haha sorry to have made you so hungry, but I have no doubts you’ll be eating well in 2015 🙂 What I wouldn’t give for a trip to Bangkok’s street food carts right now! Enjoy! Fat Angel is delicious! 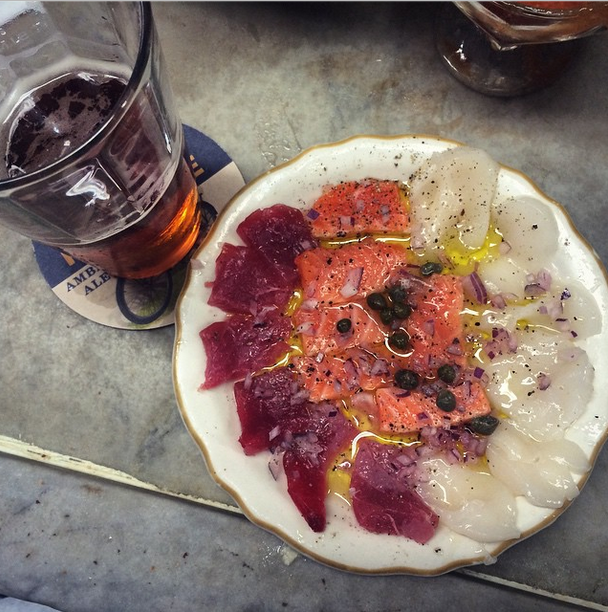 State Bird Provisions is right around the corner from it…just saying! I TOTALLY ate at State Bird Provision when I was in SF for the Room to Read Chapter Leader Conference .. it was divine!!!! 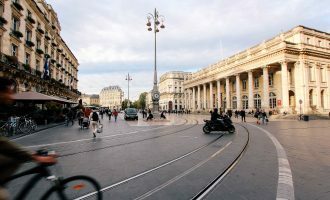 Great roundup!! Girl, when I eventually move to SF, promise me you’ll take me under your wing and make me a Jr. Foodie? I die for tacos and brisket, but my seafood palette is pretty amateur. 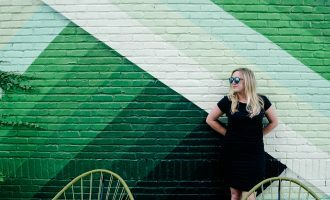 Loved your twist on a 2014 Recap post! I will take you under my foodie wing the instant you get here!! 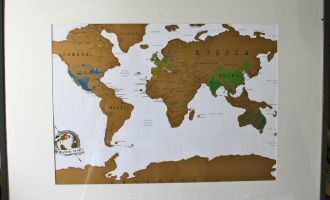 I always plan my travels around food too! You ate some delicious food. Swan Oyster Depot, Cafe du Monde, and State Bird are all on my to-do list but my most memorable feast this year was actually a class I took in Paris to learn how to make croissants. I ate so much at the end of the class! Happy and delicious travels to you! I think you should start an SF food blog and just post pretty food pics every day, yum. Love the photos, for some reason my favorite are those plump looking dumplings.